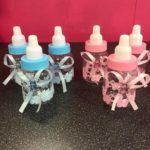 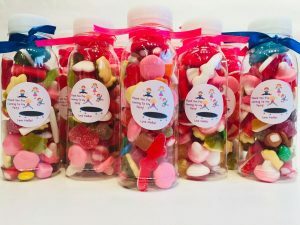 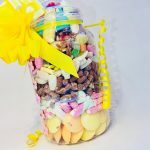 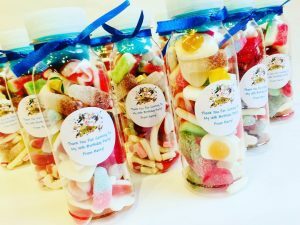 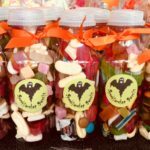 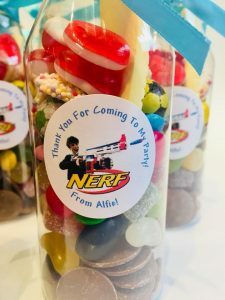 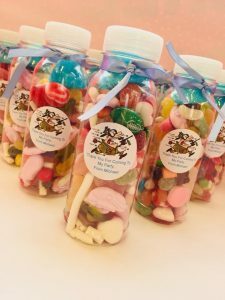 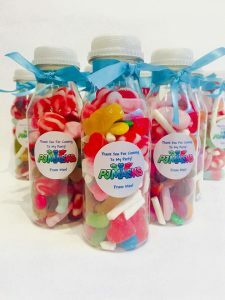 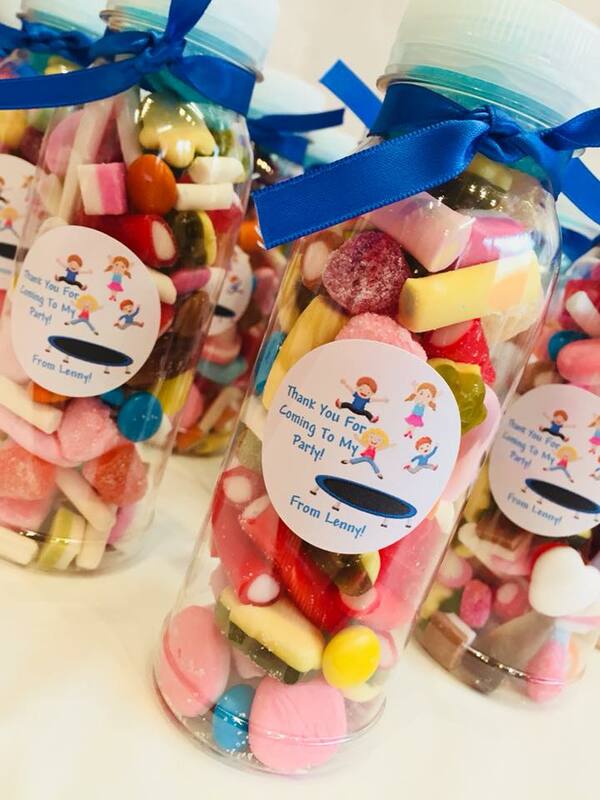 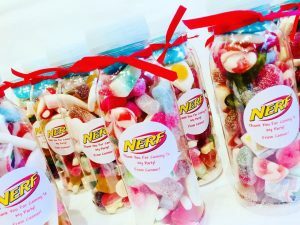 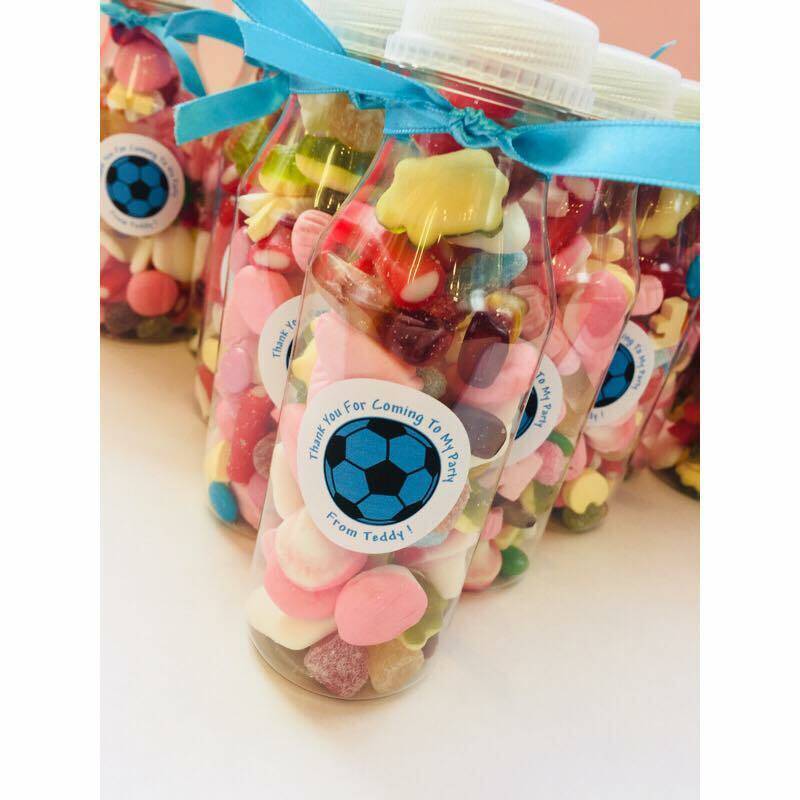 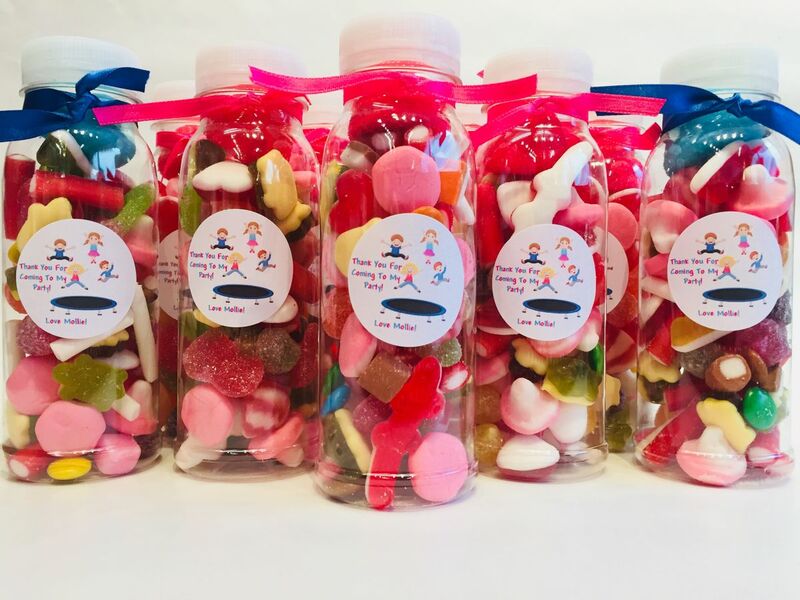 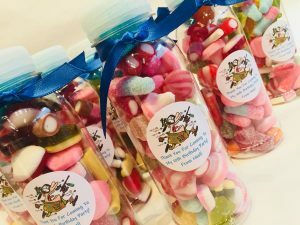 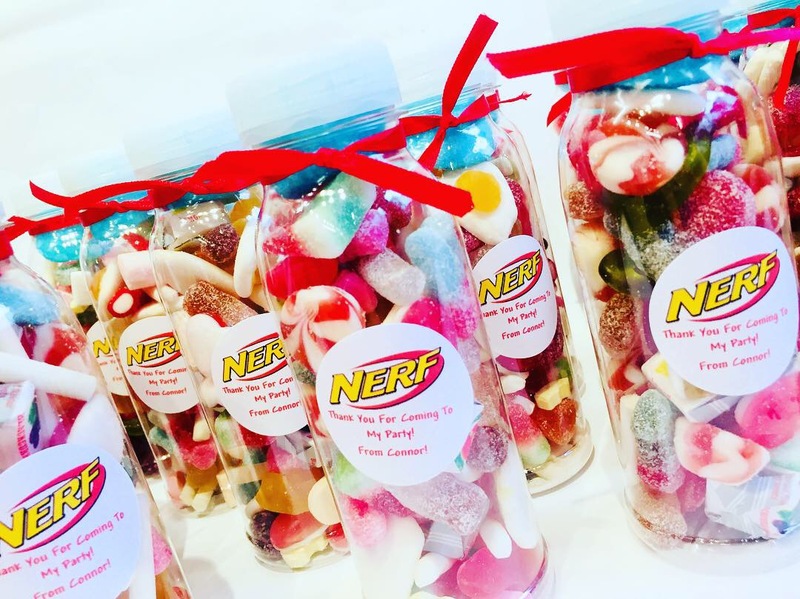 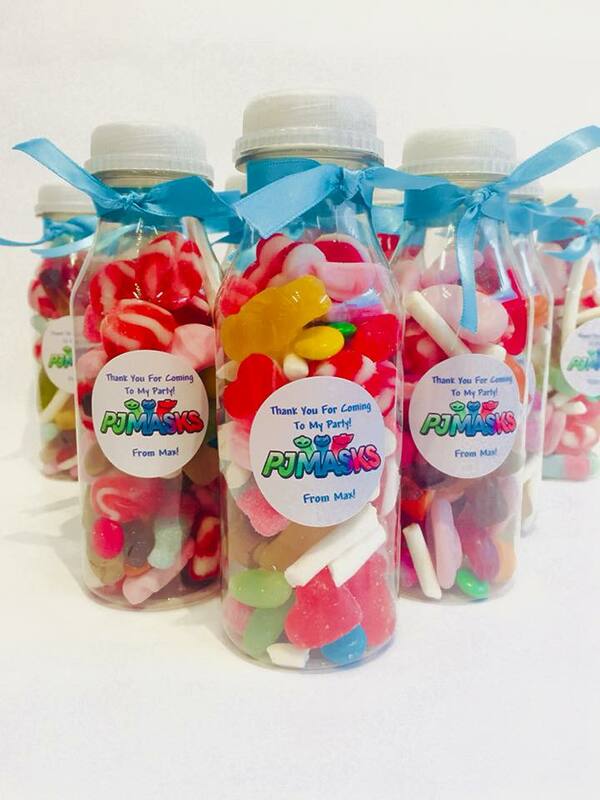 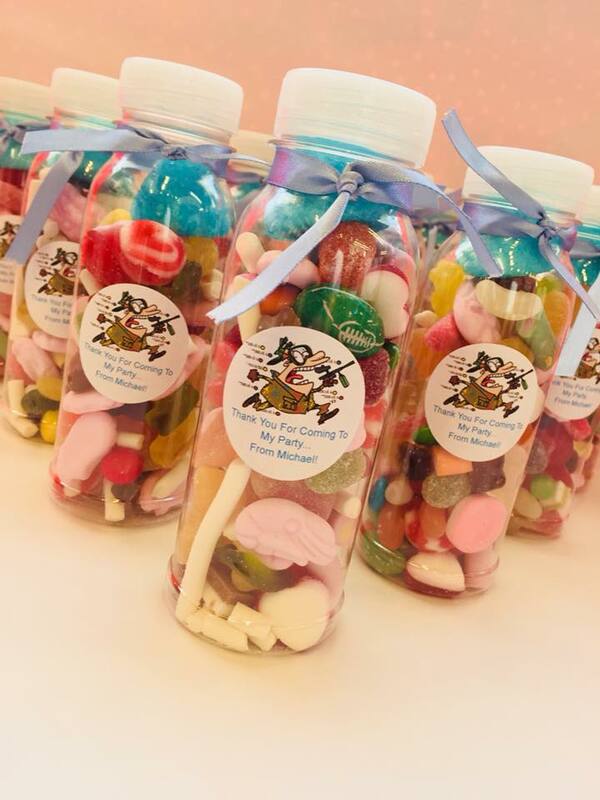 Sweet bottles are a great alternative to sweetie cones giving you that little bit extra you may want. 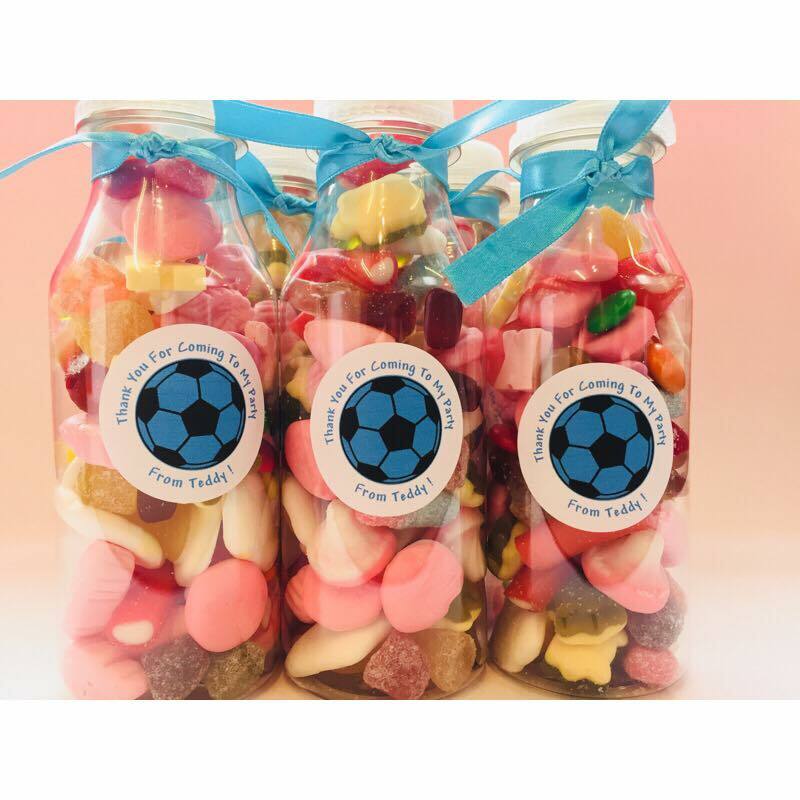 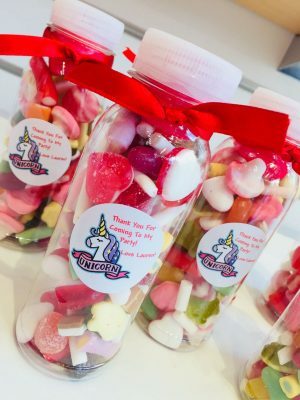 These include a free personalised sticker… these can say anything you may like, our popular request is “Thank you for coming to my party, love (name)” with a image such as a unicorn/football or anything of your choice in the middle. 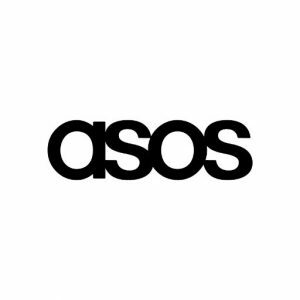 Please let us know in the “Notes” section on checkout.